Usage	Carving stainless steel, iron, anodized aluminum, ceramics, stone, wood, bamboo, leather, plastics, etc. *Made of high quality hard aluminum and brass material, the surface is by anodized and sandblasting ,not easy rust,very durable. *One of the most powerful diodes available, upgrade your Wood engraver to a Metal Marking Machine. *It can mark metal and stone, cut wood, foam and other materials easily. 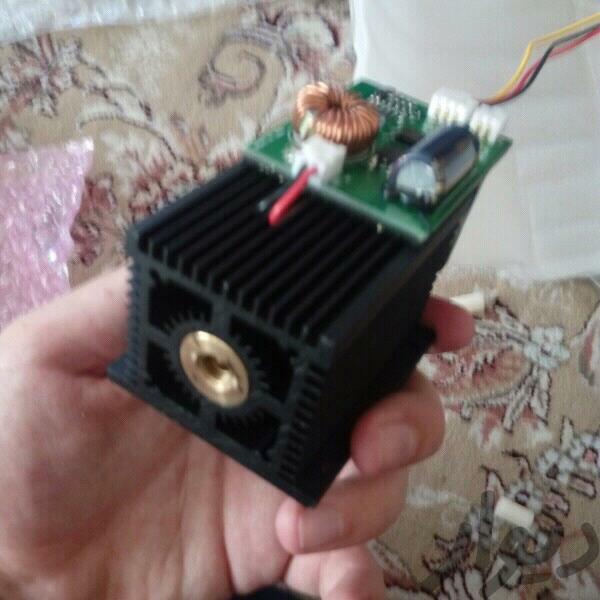 *With heat dissipation fan,make it with longer service life. - Please wear the protective glass when you use the laser module. - Do not touch the laser light directly in case that hurt the body and skin. - Keep children and pets away from the laser module when it working.